One of the highlights of CES 2018(for us anyway) was the walkthrough of the upcoming smart-displays featuring the Google Assistant. JBL, Lenovo and LG all had their pre-production devices out for the show in Google’s massive playground outside the Las Vegas convention center. In case you missed it or just want to take a second look, here’s our walkthrough video from the booth. Availability of the smart-displays was rumored to be sometime in July and while none of the OEM’s have made official announcements, it looks like Lenovo’s 8″ and 10.1″ models will be the first ready for purchase. Before you get too excited, I did mention in the title “pre-order.” Lenovo’s landing page for the smart-displays is still home to a Notify Me button so you can get alerts when the device is available. However, BH Photo is already taking pre-orders for the Lenovos and the price is better than we expected but the expected arrival date is September 3. 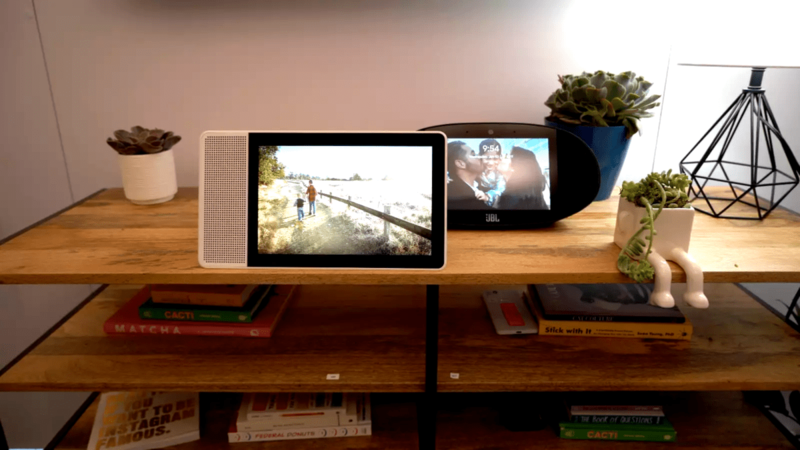 Yeah, that’s a bit of a wait but you can go ahead and secure your smart-display and be one of the first to have Google’s rival to the Amazon Echo Show. At CES, pricing for the devices was reported to come in at $199 for the 8″ and $249 for the larger 10.1″ model. BH Photo has them listed at $149 and $229 respectively which puts the smaller model in the OG Google Home price range but with a lot more functionality. Practically identical with the only discernable difference being the display size and the price. We’re hoping to get our hands on one of the Lenovo smart-displays in the near future and are looking forward to seeing what improvements have been made over the past few months. You can get your pre-orders in from BH Photo at the links below.